I had a great day yesterday with all of my neighbors. It turned out to be sunny and HOT here, which I think we were all kind of loving. I did watch The Bachelorette, but this episode put me to sleep. All I will say is: 1) where did Shawn B go??? and 2) I take back everything I said last week about JJ. What The Bachelorette did do for me last night is keep me busy before I had to go get Justin from the airport at 11:15pm (no earlier flights popped up). Coffee at 9:30pm also helps with that, but trying to get to sleep at midnight after said coffee is a real challenge. Needless to say I am a walking zombie today. Pray for me. Last week I shared with you my current obsession for everything from The Protein Bar here in Chicago. There are often occasions during the work week that I have neglected to figure something out for myself for breakfast, lunch, or a snack and I love The Protein Bar because it's getting me my protein and doesn't have 8 million random ingredients thrown in that I can't figure out. BUT...it's expensive! So, I have started experimenting making some of the recipes at home. I've been making the Buffalo Bowl for a long time (I'll share that recipe another day), and last week I tried out the Healthy Parm. It turned out so good, dare I say better than the original? 1) Prepare your quinoa in a 4 quart sauce pan according to the directions on the bag or box. 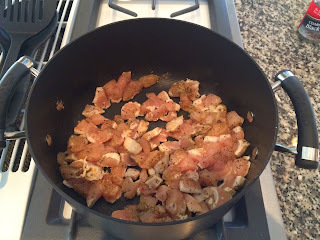 2) While the quinoa is cooking, brown up your chicken in a separate (big) pot with the olive oil. 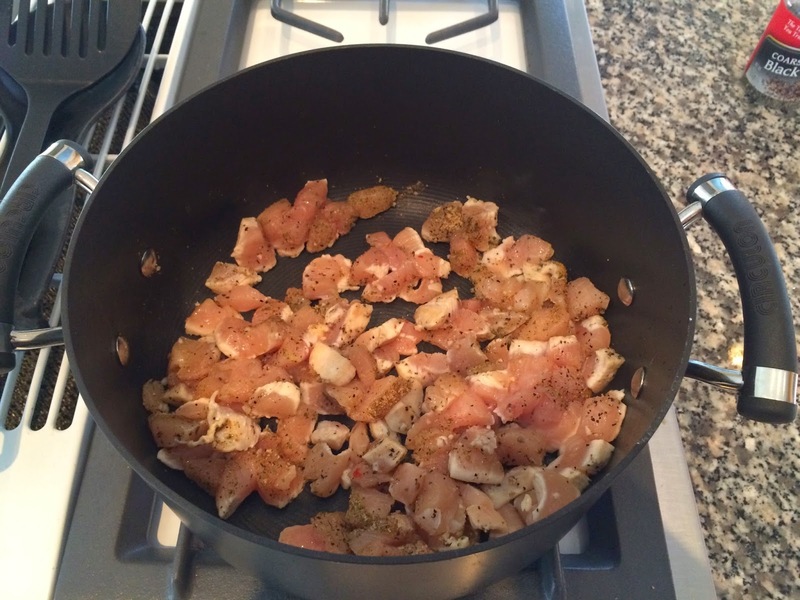 Add all of the seasoning to the chicken (salt, pepper, Italian seasoning, garlic powder). 3) Once your chicken is fully cooked and the quinoa is also done, mix the quinoa into the chicken in the large pot. 4) Add in your 1/2 cup of marinara sauce, mix, and allow the mixture to warm up for about 2 to 3 minutes on medium heat. 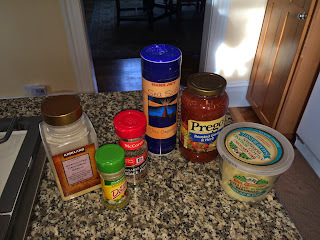 5) Mix in the Parmesan cheese. Give everything a good stir to combine. So if you're like me and you're putting meals into MyFitnessPal or are just curious about the nutrition stats, I am a huge cheater and just use the stats from The Protein Bar's recipe. Is it exact? Probably not. But, I'm a lawyer, not a dietitian so faking the numbers a little on this one works just fine for me. See you tomorrow morning when I will hopefully be a little more bright eyed and bushy tailed.